Any machine work that is not listed ? Please email me at the email listed below. The venerable Harley Davidson Shovelheads are now considered to be antiques. They were a good motorcycle that out lasted the sale of HD to AMF company in the early 70's and went on to be repurchased by the employees and brought back to the leaders in the heavy weight motorcycle class. I like Shovels as they were the first Harleys that I owned. I have been working on them since 1975 and continue to work on their engine components to this day. I can and will do most any job description on these motors. This is the same port work I do on the Evolution and the Twin Cams. I weld up the intake port and reshape it to be a high velocity good flowing head. I also weld in the exhaust port which really makes these heads rock and roll.These heads receive new AV&V valve guides and all new AV&V valves. Cylinder boring, next size $90.00 each cylinder. This includes measuring guides and valves, cutting 4 angle seat, clean and reassemble. 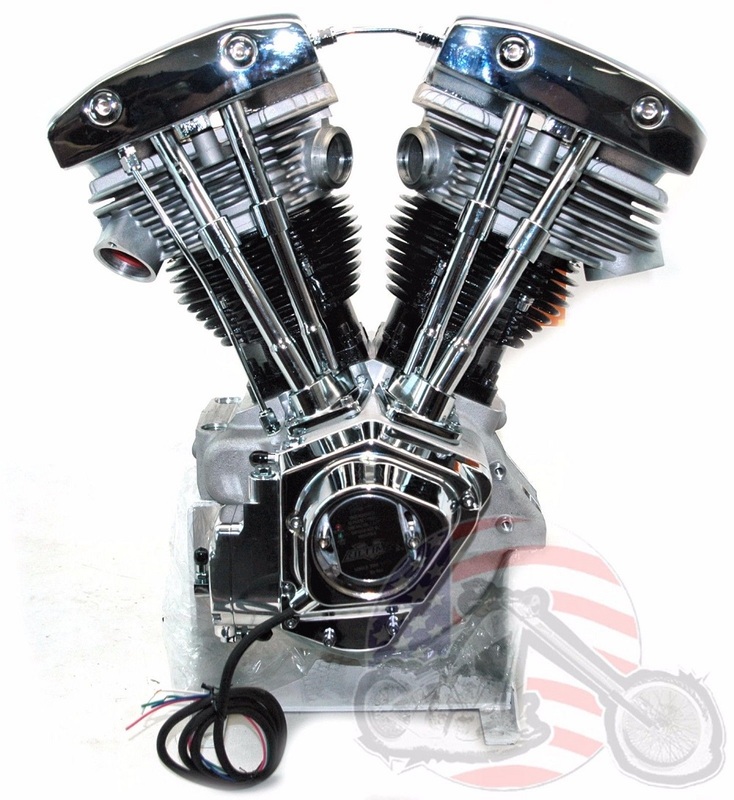 I also do complete motor rebuilds on Shovelhead models. The prices vary so call or email me for a quote.